Hello, sweet readers and cherished friends! Today I have the great pleasure of writing a post in celebration of Chatting Over Chocolate's 5th Blogiversary! 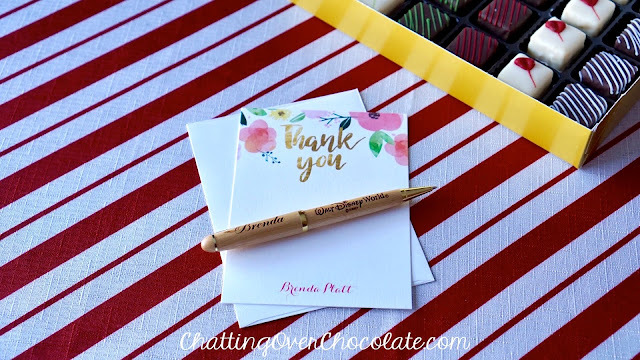 If it were possible I'd write each of you a personal thank you note for being such a fantastic part of this blogging experience and I'd invite you out to The Cheesecake Factory for a celebratory slice of Godiva chocolate cheesecake. Instead I invite you to step away from your computer for a moment to grab your favorite sweet treat for us to "chat" over. Perhaps hot chocolate in your favorite mug would be perfect! Don't forget the whipped cream and extra sprinkles, after all this is a special occasion! Got your chocolate? Ok, let's chat! 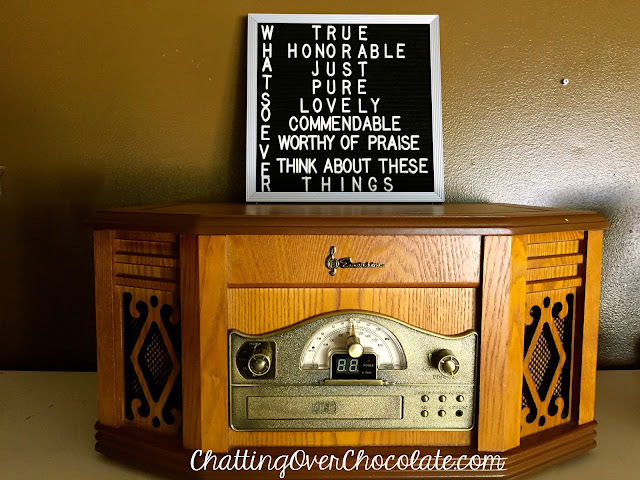 Today I'd like to talk about five ways that blogging here at Chatting Over Chocolate has changed my life. I hope along the way I'm able to encourage you to notice joy in unexpected places in your own life and that you'll leave here knowing how much I appreciate your readership and support! I've heard it said, "You can do anything, but not everything." Each of us is given a 24 hour day. It is up to us how we spend it. Blogging, like many hobbies, is time consuming. It's not uncommon for me to spend five hours (not always consecutively, of course) between clicking "new post" to "publish". I'm a perfectionist, and while my posts are clearly far from perfect, I strive to share things in a way that will be most enjoyable to my readers and for my own family when we return to read it in the years to come. I'm thankful that the time and preparation required for this beloved hobby of mine has stirred the desire to prioritize my life and be a good steward of the time I'm given. After all, no one wants to look back with regret over the way they've spent their fleeting days upon this Earth. At times this has meant taking a much needed hiatus. I am thankful for the freedom to do so and am grateful for the faithful readers who always greet my return with a warm welcome! If you know me in real life, you know I have a voice, sometimes a loud one at that. Ha! I'm not shy. I love to chat with people. I'm the kinda girl who sometimes gets to know the people sitting beside me on a Disney bus and doesn't shy away from chatting with a fellow shopper about what a great bargain we're both scoring. So, choosing this may seem interesting to a few of you. Yet, I feel that Chatting Over Chocolate has given me a voice, in a way that matters. Here I feel free to share what's on my heart. This blog allows me the means of bringing encouragement to a weary reader who's walking through a difficult day. It allows me a fun outlet to bring a "Disney fix" to a fellow fan of pixie dust who is awaiting their next trip back to the magic. Best of all, this space affords me the opportunity to proclaim what I believe to be the most important thing that can ever be shared, the Gospel. I am grateful for this place where I have the freedom to share as my heart desires and for each of you who cares to meet me here! I don't think it's an exaggeration to say that the blogging series, Five Loves on Friday, has transformed the way I view everyday life. Over these past five years there have been plenty of weeks when it took work to find a handful of loves, yet doing so has caused me to look for the beauty in the midst of even the most brutal of days. I continually pray that God will give me a grateful heart. I think the Five Loves on Friday blog series has been a means through which that has been cultivated. Combing through the details of life in preparation for Five Loves posts has trained my mind to seek out things worthy of praise. What a blessing that is in the every day, nitty gritty of life! I am incredibly grateful for all that this corner of the web holds for my family! This place is a treasure trove of memories for me! I look back and cry tears of joy over seeing how life has played out! When I reread some posts, I rejoice over the incredible kindness and unshakable faithfulness of my God. Other posts bring back laughter and joy from some of the best moments of this decade in my family's every day life. I'm overwhelmed by what this space means to me and all the memories it holds. Rereading this post from 5 years ago flooded my eyes with tears and my heart with thankfulness! This one includes a video that makes me laugh and cry happy tears! I am still so very proud of all the hard work and dedication it took for Little One to achieve this big goal at such a young age! 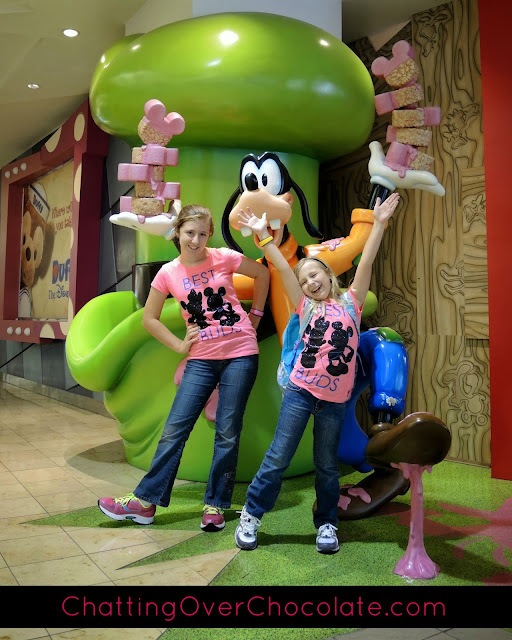 The post that my oldest daughter contributed to the blog! It just happens to feature a great day with dear friends, Little One making it into the newspaper, and Princess' first time driving in heavy traffic (with her mama in the car)! What a day to remember and a reason to be thankful that I began this blog! Thank you, yes YOU, reading these words at this very minute. Thank you for being here! Thank you for taking time away from your busy life to sit and read this post and every post you've read, whether this is your second or you've been here since the second post I published. Sure, I could capture my family's memories here in a silent space with no one around to see it. I could pour out my heart and publish it for myself alone to read, but let me tell you, it wouldn't be nearly as much fun! I try not to pay much attention to numbers, but this one makes my heart skip a beat... 4,308. That is the number of comments that have been published here in the past five years! Over 4,000 times I have received a sweet message from one of you that completely made my day! I delight in each one that comes my way! Before I started Chatting Over Chocolate I actively read several blogs and never left a single comment on any of them. My thought was, "This blogger doesn't know me. What do they care what I have to say about their post?" IF you're reading this today and you've never left a comment, please know that I would always love to hear from you in my comments section! To those who have commented once or twice, or do on a regular basis, you make blogging such great fun! Thank you from the bottom of my heart for being part of this on going, five year chat. This place wouldn't be the same without you! 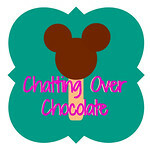 Do you have a favorite blog post or series that I've shared here at Chatting Over Chocolate? Is there something you have enjoyed here and would like to see more of? If you're a new reader or an old friend, I'd love to hear from you on this special day! Congrats on your blogging anniversary! It is amazing how much blogging impacts our life. It has really been a blessing for me over the years as a business and a blog :) Have a good weekend! Happy blogging anniversary! I had no idea that you've had your blog for five years! I enjoy reading about your Disney trips, your shopping bargains and tasty eats! You are a ray of sunshine! 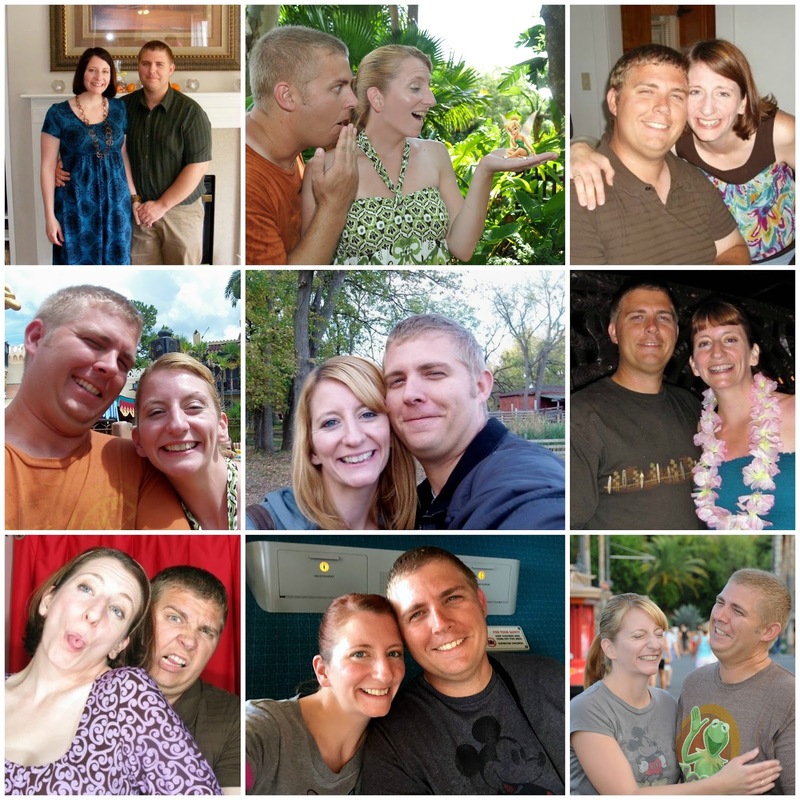 HAPPY 5th Anniversary, sweetest friend! You know that this blog has a special place in my heart as well. I LOVE the trip reports and I just LOVE the 5 Loves on Fridays! 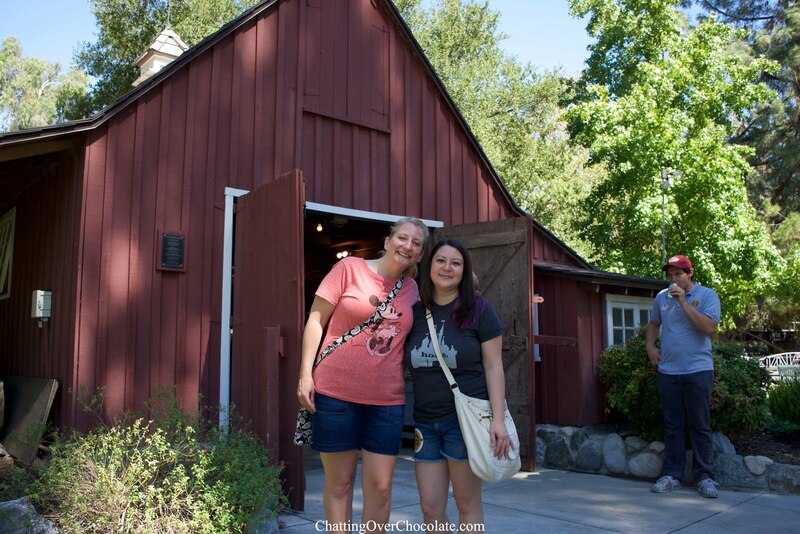 It's such an honor to have made it as a feature on your anniversary post! Our family ADORES you all! Happy celebrating! Love you BUNCHES! 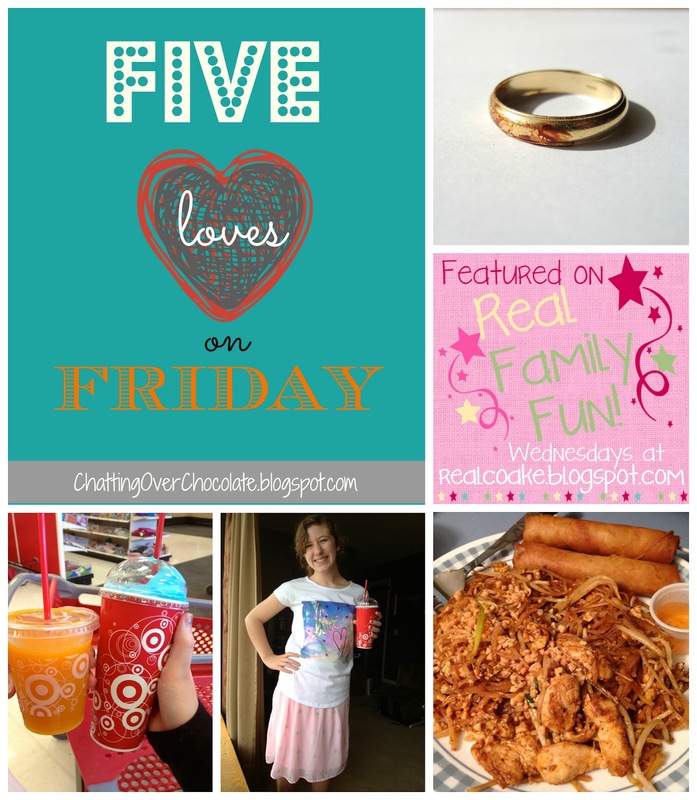 I am going try to start a Friday 5 (Friday Loves) post every so often on Friday! I love reading these types of posts and I think it'll be more fun to write and easier than my old Currently posts. 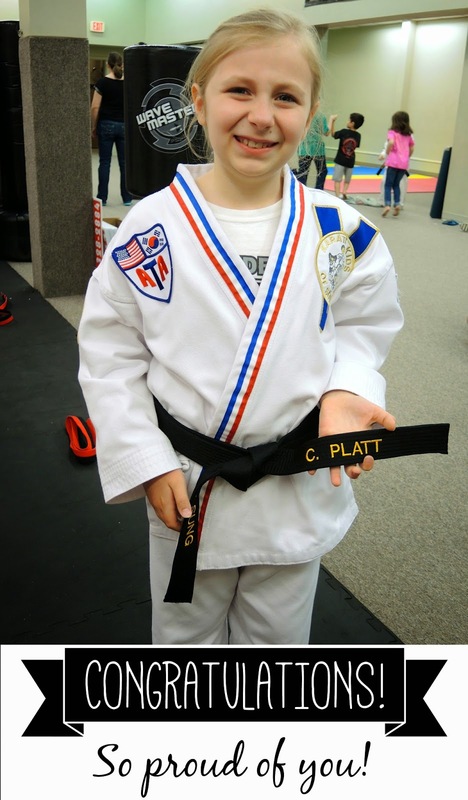 I love that photo of your daughter with the black belt, my son just earned his brown belt in karate. I'll have to remember to hunt you down next holiday season, so I can get your address and send you a Christmas card! Brenda---what a heart felt read, that made me smile!! I do think that blogging gives us a voice, and who doesn't need that?? Happy Blogiversary!! Crazy to think it's been 5 years and how much has happened. And look at how LITTLE the girls were! My blog has fallen by the wayside for now, but I'm so glad it let me to our friendship! Love you guys!! so exciting! 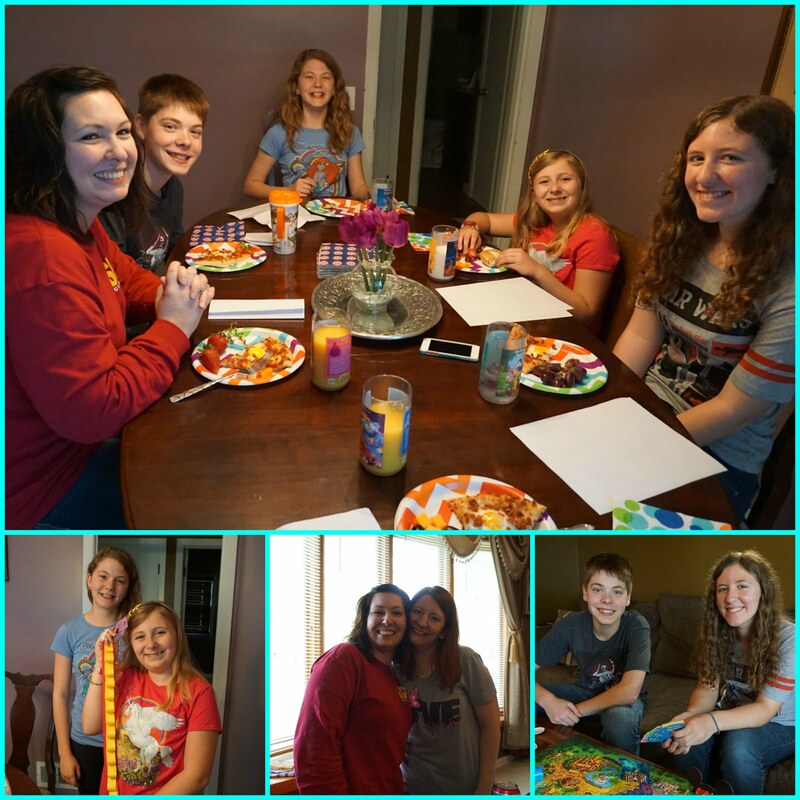 I have loved watching your family have adventures and look forward to new posts! Five years! That is amazing friend. Congratulations on reaching such a huge milestone. Just think of all of those amazing trips and memories recorded!! Happy Blogiversary! I love this post and love blogging for many of the same reasons. Love, love love this!! At the end of the year, I did a final post on my blog not knowing how much I'd post this year! But reading this makes me want to post more!! I'm remembering why I started blogging in the first place and love it for many of the same reasons!!! I'm bookmarking this to refer back to and read over and over!! Happy Blogiversary Brenda!! !